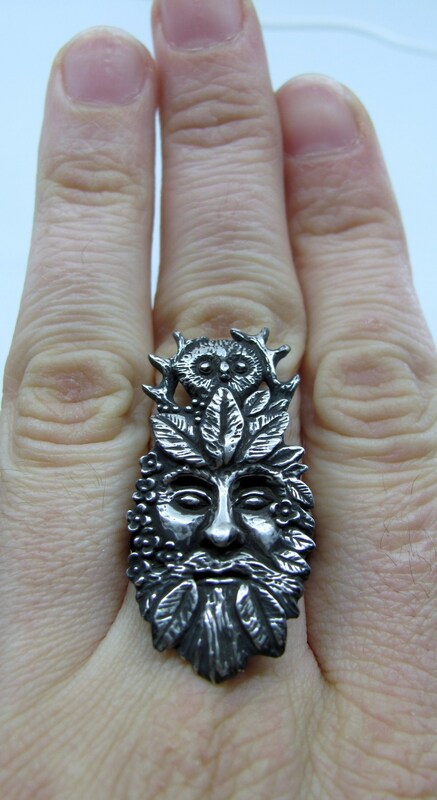 Our Green Man ring was inspired by Bran's three-eyed-raven journey that led him to the man that lives entwined in the ancient weirwood tree and overlooks all of time - past present and future, simultaneously. 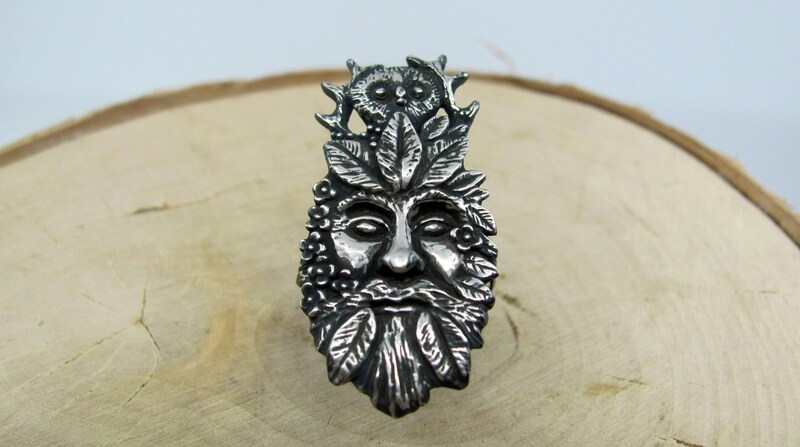 This "green man" is from the Game of Thrones book series. He lives in the earth with the few remaining Children of the Forest. 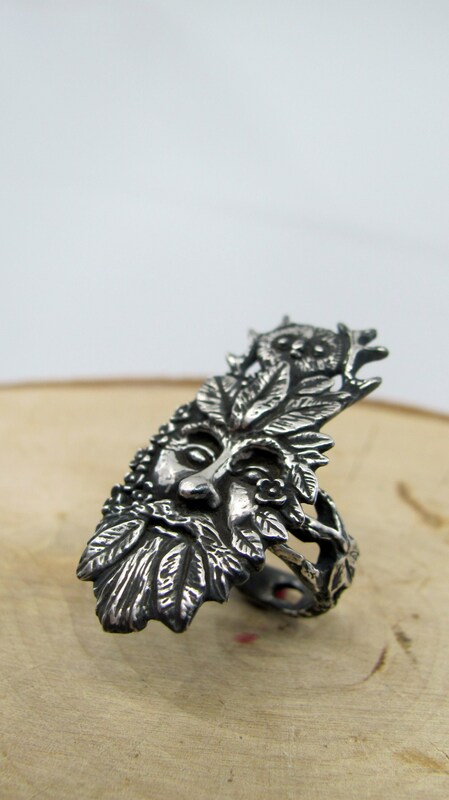 He transcends everything that is known to us to be reality and can see through the eyes of any living organism at any point in time - from weirwood tree to blade of grass, and from grizzly bear to butterfly, and thus experience all of their thoughts, feelings, experiences, and memories. 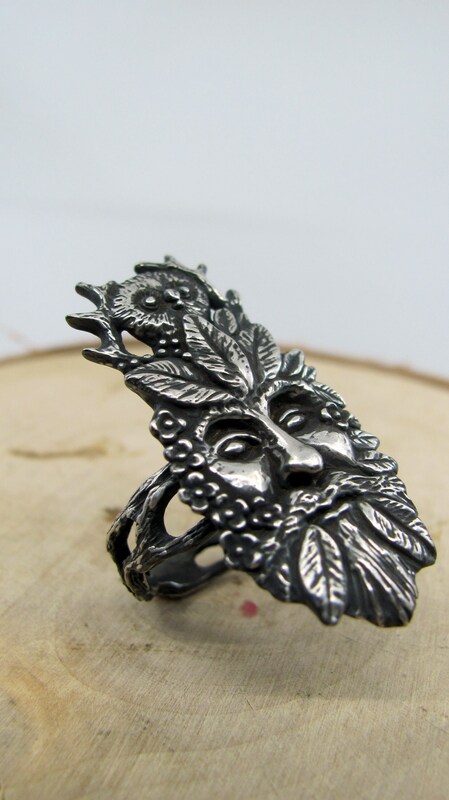 Our greenman is extremely detailed, you will not find anything close to this out there! 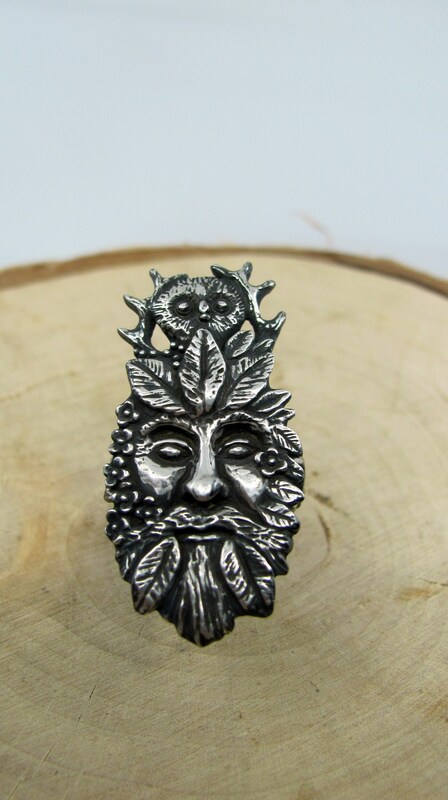 He has deer antlers, intertwined in him, an owl that is along for the ride, and is melded with foresty flowers, and leaves. He is truly magical. Measurements: 1.5" x 0.75" and the band is approximate 5mm. 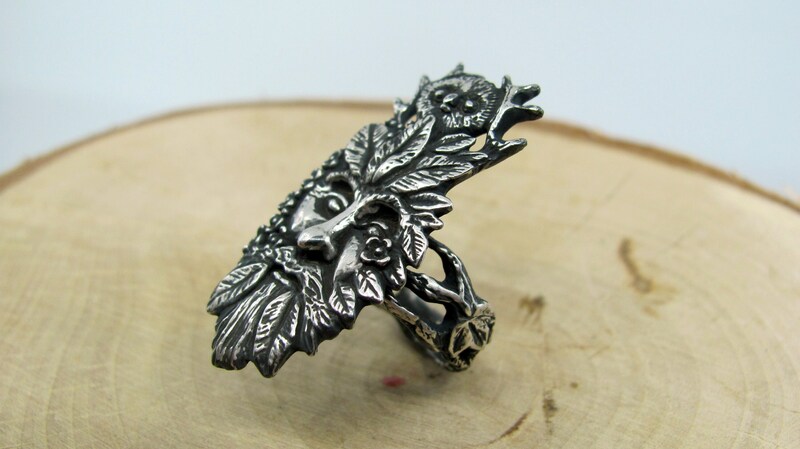 Like all of our exclusive designs, this piece was originally designed and hand carved by Kate Pride and cast in solid sterling silver here in Boston, using the lost wax casting technique. 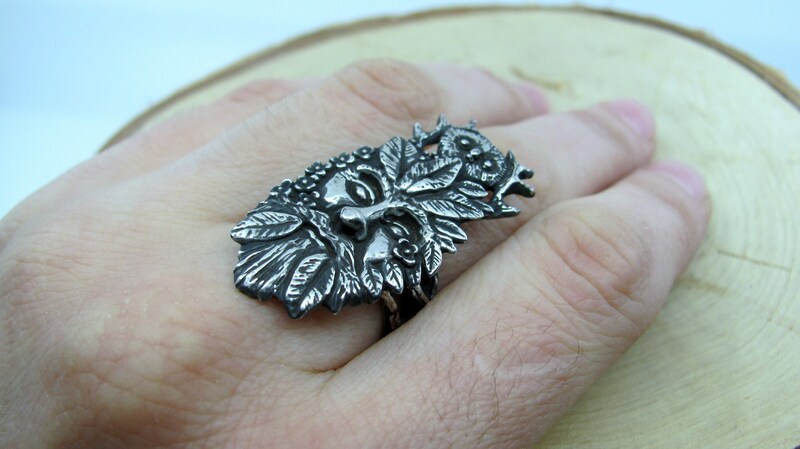 Our pieces are hand cast in small quantities to ensure highest quality. Hand carving in wax is a very painstakingly long process that requires many many work hours and patience. Copyright © Katya Pride, Marie Zaccagnini & The Violet Fawn, 2013-Present.